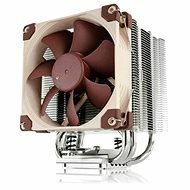 The DX series chillers from Austrian Noctua are a highly efficient method of processor cooling. The NH-U9DX i4 is the fourth revision of this successful model. It is designed exclusively for Intel Xeon processors until 2011, 1356 and 1366. A powerful device with aluminium ribs and quadruple copper heatpipe reliably delivers heat from the processor. Two NF-B9 fans with low noise levels - 17.6 dB (A) with a maximum speed of 1600 rpm are helping with cooling. The radiator is equipped with a professional SecuFirm TM holding system for reliable mounting on the motherboard. The package also includes a top-of-the-range heat transfer paste NT-H1 with minimal heat resistance and easy installation. 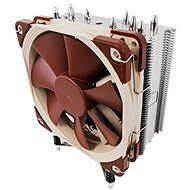 For shipping to other EU countries visit this page NOCTUA NH-U9DX i4. Für Versand nach Deutschland, besuchen Sie bitte NOCTUA NH-U9DX i4. Chcete doručit zboží do Česka? Prohlédněte si NOCTUA NH-U9DX i4. Chcete doručiť tovar na Slovensko? 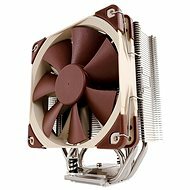 Prezrite si NOCTUA NH-U9DX i4. Für Versand nach Österreich, besuchen Sie bitte NOCTUA NH-U9DX i4.